Since the beginning TSM have aimed at offering cleaning products to the clients. Now it’s time to step forward and face the world’s challenge. With this target TSM introduces a company’s strategic change presenting the new GRANDE BRIO, a scrubber drier range whole made in Italy which involves innovations into new cleaning solutions and original designs. Hence, the new GRANDE BRIO comes to the market: a range of compact and simple scrubber driers completely renewed. It matches all customers needs and contain a variety of technical innovations and functional improvements. 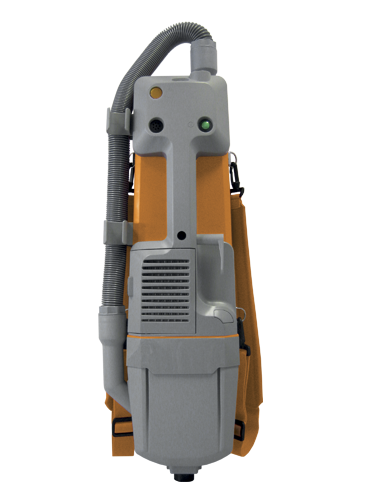 The GRANDE BRIO scrubbers are efficient, immediate in operation, as it does not require special training, easy to use by operators and simple to maintain. The TSM watchwords are simplicity, versatility and economy. These are the principles that guide the strategy of differentiation of TSM: quality at a competitive price. Also the scrubber drier GRANDE BRIO 35 ECORAY is completely renewed and now also in battery version. New shapes. New designs. New colors. Higher tank capacity. Several improvements. These are the results of continuous innovation and research of TSM.